There have been several excellent recordings of Bartok's two Violin Concertos in recent years, and this latest endeavor joins them. 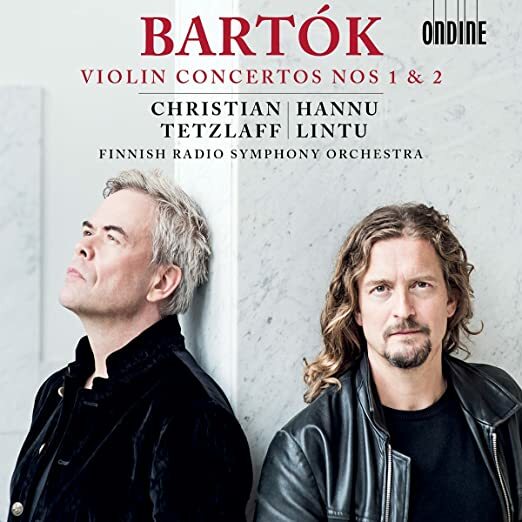 Christian Tetzlaff joins conductor Hannu Lintu with the Finnish Radio Symphony Orchestra in these sensitive, well thought-out readings, with great attention to details of color, in a recording that captures the essence of Bartok very well. Exquisite playing, both from Tetzlaff and the fine orchestra, has to be heard to be believed. Ondine has done it again. This could be my favorite violin recording of the year. Five stars! For me, the most beautiful recording of the 1st concerto's first movement is by Isaac Stern and Eugene Ormandy. By the way, Stefi Geyer, for whom Bartok composed the concerto but who never played it, was in the original Lucerne Festival Orchestra, along with the members of the Busch String Quartet and others. Ormandy had a magic touch with XXth Century music during the 1960's: I admire him and Stern very much. Strangely, I never got around to replacing my LP with a CD. Thanks to you jogging my memory, I will do so now. 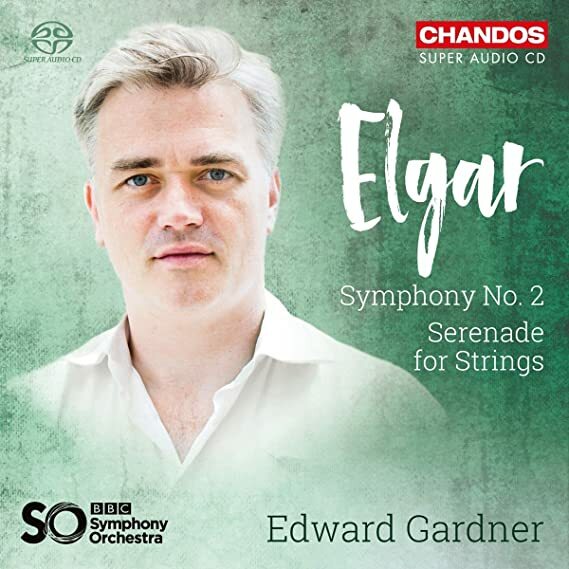 Maestro Edward Gardner has turned in a series of very fine recordings during the past decade or so, and this excellent disc of Elgar II and the Serenade for Strings is one of them. Couple this with Gardner's outstanding reading of Elgar I, and you have interpretations to rival Boult, Solti or Barenboim. The sound on this SACD is indeed super audio, and Gardner's electric reading of the Scherzo will please you mightily, along with his sensitive phrasing and colors in the quieter moments. What I look for in a great conductor is not sensationalism, but consistent quality across a wise range of composers. Gardner has this (see his Walton or Janacek, for example). Five stars! I've only recently discovered this gorgeous conductor and here he is showing us around one of my favourite cities in the world, Bergen, Norway. 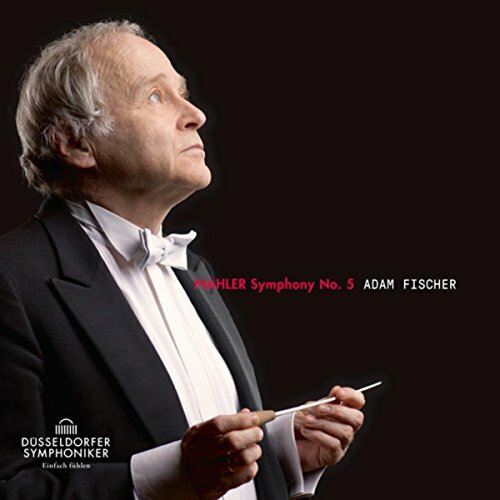 Adam Fischer's latest foray into Mahler with this live recording with the Dusseldorfer Symphoniker had my approval until the finale, where Fischer holds back the excitement too much by slowing his tempo almost to the breaking-point and fussing with details. This error in judgement surprised me from this usually excellent musician, which made the explosive finale lose steam and lacked effectiveness. Fischer's attention to detail in this performance impressed me, so the lame finale disappointed me deeply. Three stars. 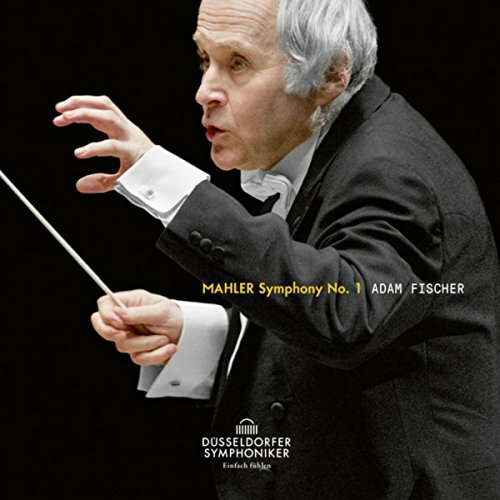 Adam Fischer is not a great Mahlerian yet: he's too polite. Mahler's music requires passionate excess IMHO, and we find none of that here. Sure, all the notes are in place, and tempi are acceptable, but this phoned-in performance left me hungering for Solti, HVK, Abbado or Bernstein. There are plenty of fine performances of Mahler V available today: this is not one of them, sorry to say. Abbado's early attempt at this symphony in Chicago was bland like this, yet he grew into a powerful Mahler conductor in Berlin and especially in Lucerne. Let's hope that Adam Fischer does the same. Three & 1/2 stars. Just finished hearing this for the first time. 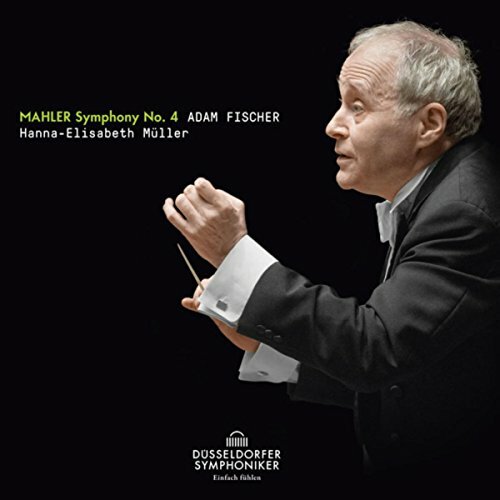 I must say that Mahler IV suits Adam Fischer's vision of the composer much more than the previous recordings I've reviewed here. This is a good IV, not as good as Szell or Britten, but well thought out, with good attention to detail and energy in all the right spots. The orchestra plays well, but I feel the strings weaken at the climax of the third movement (engineer's fault or just that more strings are needed?). The soloist for the last movements starts of sounding a bit shrill, but her tone opens up into a lovely sound that suits the music quite well (Hanna-Elizabeth Miller). Four stars. Well, Brian, I guess I will be satisfied with the several complete sets and individual performances I have of the Mahler symphonies. Complete with: Bernstein/LSO/Israel; Bernstein/NYP; Levine/Philadelphia SO/LSO; all those with Bruno Walter; the DGG set with Kubelik/Mehta/Haitink/Boulez/Bernstein/C-Abbado/Sinopoli/Solti/Karajan/Chailly; C-Abbado/Berlin PO; Kubelik/Bavarian RSO; Levine/Chicago/LSO (RCA). The only thing I need is more than 24 hours in a day to get through all of those! My favourites remain the first and third symphonies, the latter especially with Levine and the Chicago Symphony on RCA, but we have talked about that on other occasions. Regarding the first, too many to list! I also got CDs of Entremont doing Schumann’s Piano Quintet with the Alban Berg Quartet (EMI) and Slatkin & NSO doing Prokofiev’s Sym. #6 & Love for 3 Oranges(BMG). And one of Fiedler’s more poppy LPs. There are two recordings which are closer to Mahler's own way with his music than any so far named: the Resurrection Symphony conducted by Oskar Fried, and the 4th conducted by Willem Mengelberg. Other Mahler disciples such as Bruno Walter and Otto Klemperer were deeply influenced by Toscanini and became very different musicians than when they knew Mahler and his work, giving far more literal performances than Mahler is reported to have done. Fried was personally instructed by Mahler how the 2nd symphony ought to go. That's interesting, JohnF, thank-you. I've never heard either one. The thing is, I still find Abbado's Lucerne performance of II, and Szell's recording of IV at the top of my list. The recordings you mention may be interesting from a musicological standpoint, but musical interpretation evolves IMHO and becomes better (or should I say more effective) as time passes. I know you might not agree with this, but Beethoven would certainly prefer and appreciate, say, Toscanini's interpretation of IX, because of its effectiveness in conveying his music to the public. Your search for the composer's original intentions is admirable, like searching for the Holy Grail fascinates me, and contrasts well with my own search for perfection in current performance practice, which, I maintain, is a more attainable goal. Certainly, Abbado's and Szell's Mahler is strongly influenced by Toscanini, I think. It's a late acoustic recording with the sonic limitations of that technology; had the record company waited 2-3 more years they could have done it with microphones. But the sound is clear and the interpretation comes across. Any conductor today who began the symphony as Mengelberg does would be severely scolded, probably by you as well. But Mengelberg had heard Mahler rehearse and perform the symphony with his Amsterdam orchestra, his conducting score is full of annotations about Mahler's interpretation, and if any performance of this music is "authentic," it's this. The orchestra plays wonderfully - it's remarkable how they follow Mengelberg's tempo changes through thick and thin. The first issue of the recording by Philips had a deluxe jacket with a facsimile of the first page of Mengelberg's score. At the bottom he wrote, "During the rehearsal Mahler said to the orchestra, 'Please begin as we in Vienna begin a Viennese waltz." Not so, say I. Musical interpretation may evolve according to the taste of the times, but who's to say that our taste is better than that of Mahler and his audience? Not I! No doubt you're right, and that's the problem. Toscanini never conducted a note of Mahler's music and despised it. Incidentally, Toscanini thought well of Mengelberg, his co-conductor of the New York Philharmonic in the '20s, though the feeling wasn't mutual. He also respected Mahler the conductor, his colleague at the Metropolitan Opera before World War I.
wrote: I know you might not agree with this, but Beethoven would certainly prefer and appreciate, say, Toscanini's interpretation of IX, because of its effectiveness in conveying his music to the public. Not a chance. No doubt he would appreciate the quality of today's orchestras, but as to interpretation, he is known to have been quite free both in his playing and in his view of tempo. He said that the tempo instruction applies only to the first bars of a piece of music because feeling has its own tempo. Toscanini would probably have raged at Beethoven's performances as he did at others'. Finally (at last! ), I'm not concerned with "the composer's intentions" which I've said time and time again don't count once he has put the music down on paper. Nor am I concerned with historically informed performance; I don't expect or necessarily want a present-day performance of Mahler to sound like Fried's or Mengelberg's. But as you know, I believe that many of today's performances are hamstrung by an overly literal adherence to the musical text; as Richard Taruskin said, we seem not to care about composers, only about texts. Mengelberg's 4th may not be a model for today's conductors but hearing undeniably legitimate interpretations of such freedom might make them less uptight. Wow! Thanks for all that, John. As you know, I prefer current performance practice, both in HIP recordings and with a modern orchestra, as my training and instincts gravitate towards Toscanini-style interpretations. I'll give the above a listen after Christmas, as I'm listening to quite a lot of Bach & Handel right now. Merry Christmas, and may you have a healthy and happy and prosperous New Year! You're certainly entitled to your taste in musical performance, even if it's probably the opposite of Beethoven's. And even if you prefer so-called historically informed performances to actual historic performances. And happy holidays to you and to everyone! 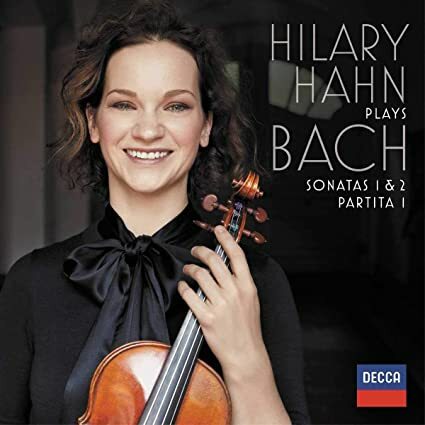 Twenty-one years ago, at age 17, Hilary Hahn released her disc of three Bach works for solo violin: Sonata No. 3 and Partitas Nos. 2 and 3. This included, of course, the famous Chaconne, the concluding piece of Partita No. 2. All those (including me) who enjoyed this superb disc wondered when she would record the remaining three works. Well, now she has, and the resulting disc, consisting of Sonatas 1 and 2 and Partita No. 1, is a treasure. The music is timeless, and Hilary Hahn has a purity of tone which is unsurpassed. Highly recommended! This excellent recording offers us the first glimpse into Bizet's thinking on the 1863 premiere of The Pearlfishers (Les pecheurs de perles). It's an absolutely first-rate exploration of the recently published original score, revised by Bizet later into the version opera fanatics have been familiar with for generations. Bizet extensively revised the score, especially the famous duet for tenor and baritone, much improving the opera, but this version (recorded live) stands well on its own two feet. Well sung by voices eminently suited to their roles and brilliantly conducted, none of the artists are household names, yet they bring a freshness and enthusiasm to their music-making that impressed me with its sincerity. Bravi tutti! Four and 1/2 stars. I'd be adding it to my collection if only it appeared somewhere! Conductor Teodor Currentzis has been much hyped in classical music media as a sort of second coming. I find his rendition of Tchaikovsky VI alternately pretentious and awe-inspiring, depending on what movement I'm listening to. The first is pretentious and overdone, jumping from ppp to ffff with very little shading in between, and overlong pauses between chords here and there. The second and third movements are quite exciting and electric. Then, the fourth movement degenerates into segments alternating between pppp and ffff again: not to my liking. I had to listen through headphones just to hear the whispers of quieter moments. The interpretation is original, I will say, but does that make it good or merely pretentious? Currentzis may gain applause with his over-management of extreme dynamics, but not from this writer. Give me Ormandy or Mravinsky any day. Two stars. I finally acquired the Puccini volume of Time-Life records' Great Men of Music series. This now completes that series for me. I've now got all 30 volumes.....a total of 44 years to assemble. Really, though, I'll never have a fully complete edition: each volume contained a giant booklet with a fairly detailed look at the composer's life as well as a listener's guide to all eight record sides. A few volumes I picked up in Seattle--the Schumann, Copland, Ravel and Liszt volumes--have the booklet missing, as are some of those that I got back here--Rachmaninoff, Verdi and Handel....these three were even missing the polyethlyne-lined inner sleeves! The subscriber had the option of buying a deluxe Notebook in which to bind all these booklets; thus the original owners in question having hung onto those booklets. 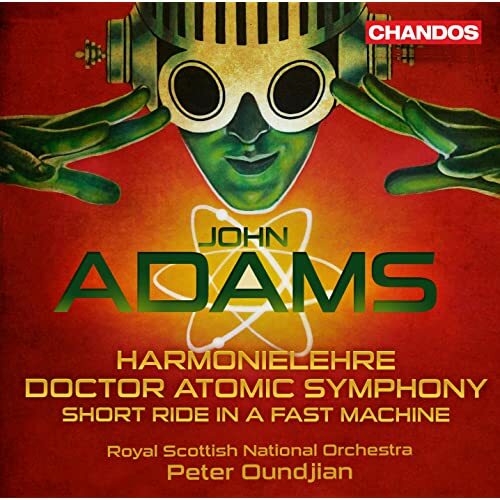 This recent (2013) recording of music by John Adams (Dr. Atomic Symphony, Short Ride in a Fast Machine, & Harmonielehre) features Peter Oundjian conducting the Royal Scottish National Orchestra in some very fine music-making. Oundjian takes a more lyrical approach to Harmonielehre than I've heard before, and draws a palette of colors from the RSNO that impressed me greatly. While not as overwhelming in the climaxes as Sir Simon, Oundjian probes the gentle side of the piece with softer passages reflecting more refined colors with stunningly beautiful string playing, along with gentler brass and winds that make this a more dignified than passionate rendition. The Dr. Atomic Symphony and the familiar Short Ride in a Fast Machine benefit greatly from this approach as well, IMHO. Oundjian's original style wins him five stars from your reviewer. This is an essential disc to own! 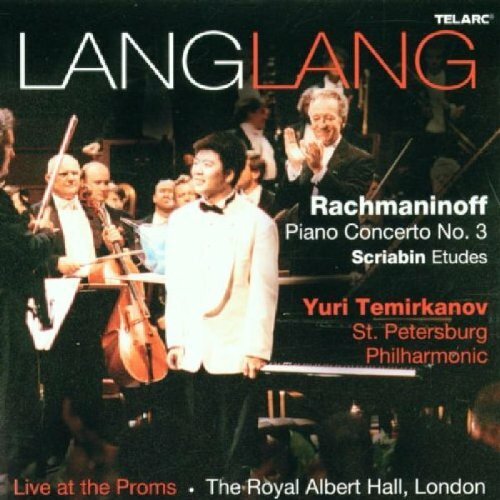 This is a live disc from the 2002 Proms which pre-dates Lang Lang's Rachmaninoff discs with Gergiev which have also been well-received. Conductor Yuri Temirkanov allows Lang Lang freedom of expression during appropriate passages without being offensive in any way in the Rachmaninoff Concerto 3; the enthusiastic applause amid cries of "Bravo!" attest to the pianist's success in his interpretation. The Scriabin Etudes (recorded separately) are played with depth and deeply-felt personal touches here and there. All-in-all, this recording reveals an artist of highly original depth and feeling. Five enthusiastic stars! Volodos up to now, in my mind, has been considered an outstanding virtuoso, gifted in difficult piano transcriptions by Liszt and concertos by Rachmaninoff. 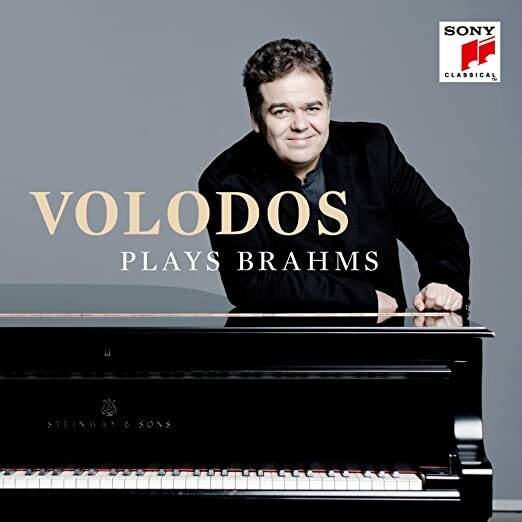 It is rare for those gifted in that direction to excel in more sensitive repertoire, such as Brahms and Schubert, yet on this disc Volodos scales back his prodigious talent for bombast and serves Brahms's more intimate and sensitive nature admirably. This beautiful disc allows the gentler side of Volodos to emerge, and it pleases the soul of this listener. Five enthusiastic stars! Could not concur more! Fabulous pianist who is, apparently, careful in what he records and how much. Each one, so far for me, is a jewel. 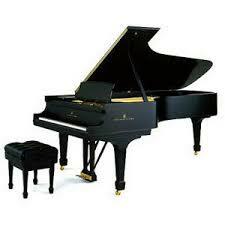 The one thing we seem to have in the way of instrumentalists is pianists of the highest quality. It is almost overwhelming especially to keep up with it all. The one pianist I have not got involved with CD-wise is Paul Lewis. One does have to draw the line somewhere! I know he is outstanding, however. Indeed! I have two of his Telarc discs, including the Rachmaninoff #3  and a solo recital . Those were the first days that Lang Lang was making an international success. For me, however, outside of his technical prowess, which is enviable, his music spoke less and less to me. I continue to collect his recordings but they are not my first choice for the repertoire he has recorded in most cases. Nonetheless, more power to him! I heard a quite good Emperor concerto by Lang Lang and Yuri Temirkanov with the Baltimore Symphony Orchestra. Maybe he takes his cue from the conductor - both Gergiev and Temirkanov are strong personalities. I haven't heard any of Lang Lang's solo recitals and don't know what his playing is like when he's on his own. At one point I believe Barenboim was mentoring him, studying the Beethoven sonatas. He's now 36 and may have matured and settled down a little. His Mozart concerto in the Cleveland Orchestra telecast, his choice of the work as well as his playing of it, suggest as much. 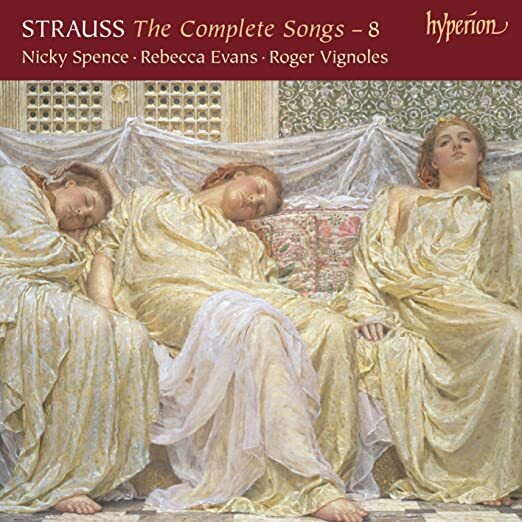 When Hyperion announced the conclusion of their 8CD traversal of ALL of R. Strauss's lieder, well I had to have it. Pianist Roger Vignoles plays as if he's reminding us of all the orchestral colors implied in the music (Strauss successfully orchestrated at least a full CD's worth of his songs). Tenor Nicky Spence starts roughly an hour's-length recital of, appropriately, late songs, tenderly caressing each note without sounding fussy or pretentious. Soprano Rebecca Evans closes out the disc with the achingly beautiful Four Last Songs, sung to perfection (Some very fine coaching is evident here.). Thus, this release will, I think, please both scholars and casual listeners. What a prolific and consistently high-quality composed R. Strauss was. Five stars. Quite a few of the orchestral versions of Strauss songs were made by others. Felix Mottl orchestrated "Ständchen," Robert Heger orchestrated "Allerseelen," "Traum durch die Dämmerung" and "Zueignung," and so on. Strauss conducted them as well as his own orchestrations and obviously approved of them. Of course many including the Four Last Songs were orchestrated by Strauss himself. Stenhammar's music had not been uppermost in my mind until I was gifted the above set of his Symphonies and Concertos recently, and I must say I like what I'm hearing in this Brilliant 3CD reissue, led by the Jaarvi father and son team. One hears the influence of Wagner and Bruckner in certain passages, but this is an act of homage, rather than an attempt to imitate. Additionally, these have the spark of live recordings, and you can hear a pin drop in the quieter moments. The orchestras' playing is disciplined and sharp, and the players execute some difficult passages with aplomb, with shimmering strings, clean woodwinds and just the right balance in the brass. 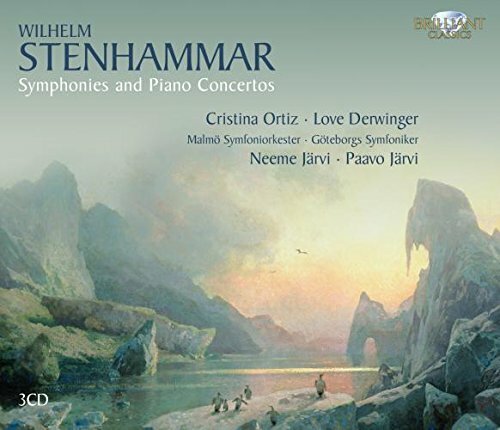 Stenhammer has definitely found his own voice, and fine exponents in the Jarvi team, with Cristina Ortiz and Love Derwinger as the outstanding soloists in the Piano Concerti. Five stars, especially at the bargain price. This is one of the finest discs of French music I have heard in my lifetime. Louis Langree is building a recorded legacy of consistently elegant and sensitive performances, including this one with Veronique Gens, one of the finest French singers of her generation. 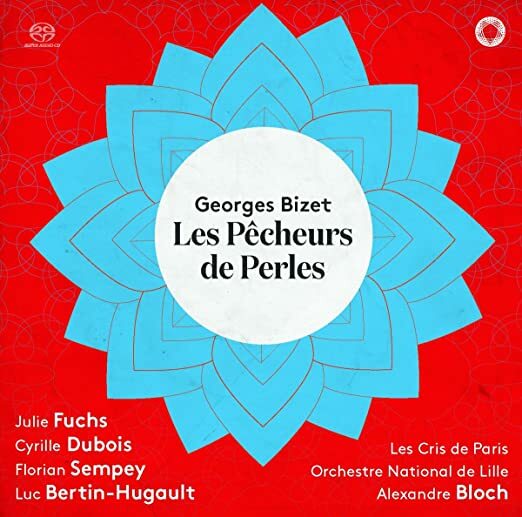 This disc includes the popular Berlioz song cycle "Les nuits d'ete," as well as La mort de Cleopatre and assorted songs, all superbly recorded and accompanied by L'Orchestre de l'Opera National de Lyon, who play with deep feeling and grace. Five stars. I never would think to purchase something like this; thanks for your posting and sensitive words about the performances. The first movement harks back to middle-period Beethoven, which for me is a Good Thing. Veronique Gens is one of my favorite singers working today, and this is one of her best CD, imho. I have sung the Nuits d'ete in recital, and love the work. Grew up with the Regine Crespin/Ansermet disc, and still love it. Naturally, the Veronique Gens/Langree interpretation is smaller-scale, yet I find her more intimate singing highly effective. This is a stunning disc! 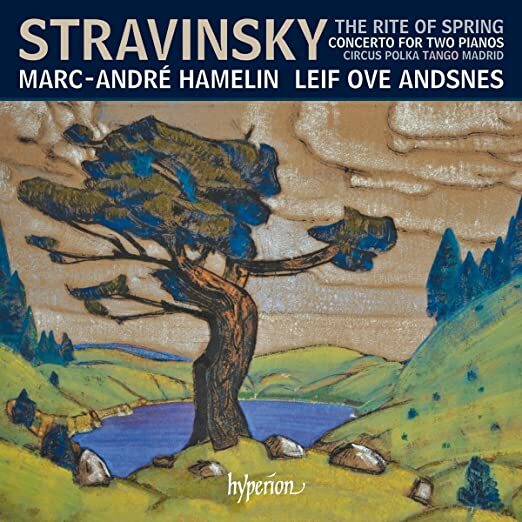 Marc-Andre Hamelin and Leif Ove Andsnes play with such depth of feeling and accuracy, it makes one feel that you're at the premiere performance of the 2 piano version as played by Stravinsky and Debussy. The Rite of Spring jumps out of your speakers with brilliant immediacy that grabs your ears by force, and doesn't let go. Naturally, it makes you hungry for the orchestral version (I recommend Stravinsky's own, or Muti/Philadelphia on Warner), but this recording stands on its own, offering virtuosity, depth and colors unique to this 2 piano version arranged by the composer himself. The Concerto for Two Pianos makes an excellent filler. Five stars! Ligeti is not my favorite composer, yet in this recent recital disc (recorded in Berlin 2018), Yuja Wang manages to make music with his thorny intervals. Also on the program were pieces by Rachmaninoff, Scriabin (tenth sonata) and a magnificent interpretation of Prokofiev's War Sonata #8. All played with a deep attention to detail that impressed me mightily. This recording is a huge success, showing that this superb artist has matured into a great pianist. Now, perhaps, she will begin to plumb the depths of Bach and Beethoven. Recommended. Five stars. Have you burned them to CDs yet, as a backup? That looks good! I love your "plumb the depths of Bach and Beethoven". Absolutely. Yes. Not to a cd yet, but I do have a Cloud backup. This is a perfect Schubert IX, even though it's labeled Schubert VIII. Confusing to the average listener, but who cares? 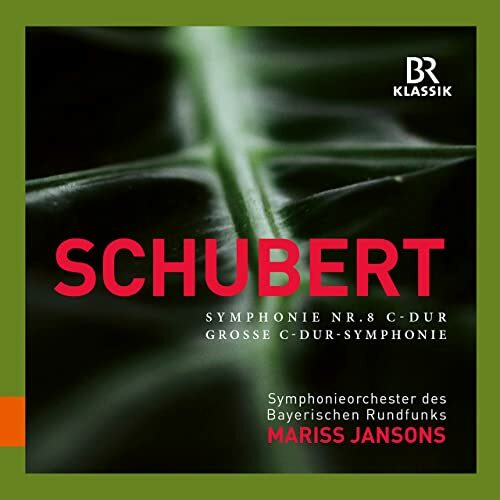 Mariss Jansons shapes his interpretation just right, keeping warmth and propulsion on solid rhythmic ground, yet this solid underpinning never sounds routine or hackneyed, with subtle orchestral details played gently in a sure, steady tempo in each movement that's right in my comfort zone. The Bavarian Orchestra make this involved reading sound fresh, as if they are discovering the music in the moment. This is a live recording, which adds to the listening experience, but you can hear a pin drop during the music's quieter moments. Five glorious stars. The C major symphony was originally no. 7, I guess on the assumption that the B minor was unfinished because of Schubert's death. Today's standard numbering was based on the assumption that a missing "Gastein symphony" came after no. 6 in C major. It turned out that the symphony Schubert composed partly in Gastein was the Great C Major, but the no. 7 was transferred to the unfinished symphony in E major. Clear?